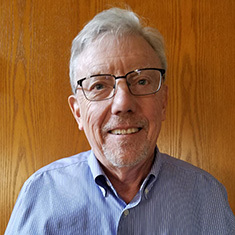 Feb. 05, 2019 — Coming to Grinnell from small-town Clinton, Iowa, Tom Triplett ’69 described himself as a boy scout. “I was prim and proper and perfectly willing to support my government and follow the direction of our leaders,” he says. That viewpoint – as one can imagine – was not shared by many of Triplett’s classmates at the time. The opposing perspectives shook up Triplett by expanding his vision of the world. “What really woke me up were the ideas of Dr. Martin Luther King Jr., and the notion that compliancy is not a good value,” Triplett says. Triplett is helping plan his class’ 50th reunion celebration on May 30-June 2. His classmates are raising money to establish The Class of 1969 Martin Luther King Jr. Endowed Scholarship at the College. The fund, scheduled to make its inaugural award next fall, will provide need-based scholarships to support the ideals of Dr. King in the student body. The Bayport, Minnesota, resident is 71 years old, so he is eligible to make gifts directly from his IRA to Grinnell College in lieu of receiving cash for his required minimum distribution (and paying taxes on it). The gift is known as a Qualified Charitable Distribution, or QCD for short. Triplett understands the tax ramifications well because at one point he was the tax commissioner for the state of Minnesota. “I had to pay attention to tax collection for 5 million people, so one takeaway was the best way to address taxes on tax-deferred income is by giving a major gift to a nonprofit entity like Grinnell,” Triplett says. In addition to his new gift, Triplett previously arranged for a planned gift to Grinnell in 2014 through an unrestricted bequest in his will. He plans to increase that planned gift while continuing to give annually to the Pioneer Fund. After graduating with a history degree from Grinnell, Triplett earned his J.D. from Duke University Law School and practiced briefly with two of the Twin Cities’ largest law firms before deciding that public service was his calling. He served as counsel to the Minnesota State Senate and then worked in the state’s executive branch for 15 years, with his last position being commissioner of finance. He then moved to the nonprofit sector where he was CEO of five Minnesota nonprofits including a small visual arts college. Even in retirement, Triplett continues to serve his community, including teaching at the University of St. Thomas business school and providing pro bono legal advice to Minnesota nonprofits on governance and finance issues. Looking back at his career, Triplett says his Grinnell College experience was tremendously important to him. “It gave me the sense that people in public service and the legal profession could change things for the better,” he says. To learn more about the benefits of QCDs and other planned gifts, contact Buddy Boulton, Grinnell College director of planned giving, at boultonb@grinnell.edu or 641-269-3248. Alums from the class of 1969 can find out more about their 50th reunion celebration.